Degenerative disorders of the joints such as arthritis can cause a significant amount of pain in the affected individuals, along with restricted movements in the affected joints. The joints are generally covered by certain soft tissues commonly referred to as cartilages which help in smooth gliding of the joints. Wearing of these tissues along with other supporting structures limits the range of motion possible at these joints. The knee joint is commonly affected by arthritis which can often result in restricted movement. In severe cases, complete knee replacement is commonly advised as a treatment modality in arthritis. However, in certain milder cases, only partial replacement may suffice the needs. Such procedures wherein, only the damaged section of the knee is replaced are referred to as, unicompartmental knee arthroplasty (UKA) or partial knee replacement procedure. The recovery is faster and the complications are lesser when compared to complete knee replacement procedures. In many instances, the operated individuals can return home on the same day of the surgery. One can resume day-to-day activities within 1-2 weeks of the surgery. The pain and other related signs such as restricted movement, improve significantly after the surgery is completed. Partial knee replacement procedure or the unicompartmental knee arthroplasty is generally advised in individuals suffering from osteoarthritis. This surgical procedure is advised when the symptoms of osteoarthritis are not relieved following conservative treatment methods such as medications, injections or physiotherapy for a minimum period of 6 months. Further, the presence of constant pain in the knee or inability to perform daily activities also necessitates the need for unicompartmental knee arthroplasty. The presence of several other conditions is also considered as indications for partial knee replacement procedure. These conditions include: avascular and aseptic necrosis; mild deformity of the knee and refractory osteomalacia. Unicompartmental knee arthroplasty is performed under anesthesia and the surgical procedure generally lasts for about 2 hours. During the partial knee replacement procedure, a small incision is placed over the skin of the affected knee. The affected region is then exposed by slightly stretching the skin. The damaged portions of the thigh bone are trimmed along with damaged soft tissues such as the cartilage. These portions are replaced by placing an implant (or prosthesis) made of metal and plastic. The implant is secured with a substance known as bone cement and the wound is closed and sutured. With the advancement in the surgical techniques, most of the individuals can now return home on the same day of the surgery. In other cases, 1-2 days of hospital stay after the surgery may be warranted. Although considered as a safe procedure, the partial knee replacement procedure may be associated with certain early or late complications in some rare cases. The early complications can include problems such as: infection at the operated area, palsy of the common peroneal nerve (can lead to loss of movement or sensation in the foot and leg), fracture of the shin bone or the tibia, and stiffness of the knee joint. Late complications associated with partial knee replacement procedure include: late stage infections, failure of the implant, dislodgement of certain small portions of the implant, wearing away of the plastic material and malpositioning of the implant parts. Nevertheless, the partial knee replacement procedure can improve the functioning of the knee and provide comfort for the individuals suffering from constant pain. The unicompartmental knee arthroplasty surgery is less complicated than the complete knee replacement procedures, and the operated individuals can return home on the day of the surgery in most of the cases. In certain cases, a brace that allows restricted movement may be asked to be worn for a few days. In others, the operated individuals may be advised to put full weight on the knee after the completion of the procedure and recovery from anesthesia. The recovery is rapid in most of the patients and the intensity of pain reduces significantly. The operated individuals may be able to walk without a cane or walker by the end of 1-2 weeks after the surgery. General daily activities, driving, and light exercise such as swimming and cycling, can be resumed within two weeks after the surgery. The rehabilitation required for individuals with partial knee replacement is quite less when compared to those with total knee replacement. The rehabilitation process may be advised almost immediately following the surgery in most of the cases. In others, rest for 2-3 days may be necessary before full-fledged rehabilitation therapy is initiated. 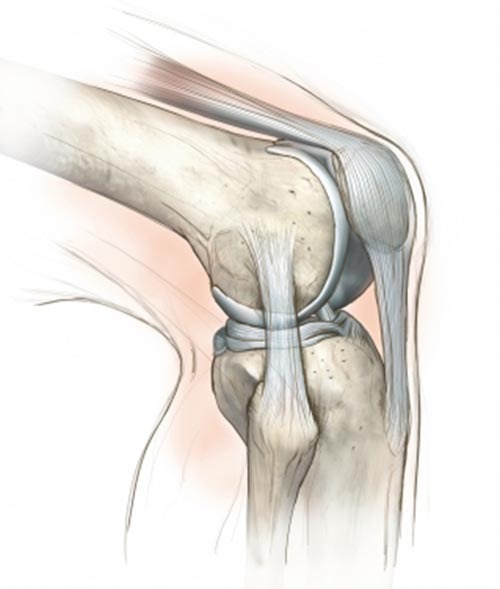 Nevertheless, regular movements of the knee joints may be necessary immediately following the surgery to prevent restriction of movement at the joints. Range of motion and other physical therapy exercises are generally advised to strengthen the knee joint and also stabilize the muscles and ligaments in that region. These exercises are commonly advised immediately after the partial knee replacement surgery. Stretching exercises are advised initially followed by strengthening exercises, once the pain has completely subsided and the knee has attained a considerable amount of stability. The exercises advised include stretching of the hamstrings, quadriceps, and calves. Flexing and extending the knee is also advised to restore a full, pain-free range of motion in the knee joint. A minimum of 30 minutes of low-impact aerobic exercises are recommended once the pain subsides to a considerable extent. The use of cycling, swimming and other related low intensity exercises may be generally advised at this stage. Strengthening exercises are advised after a few weeks of stretching exercises.